/ How Does an Orbital Sander Work? 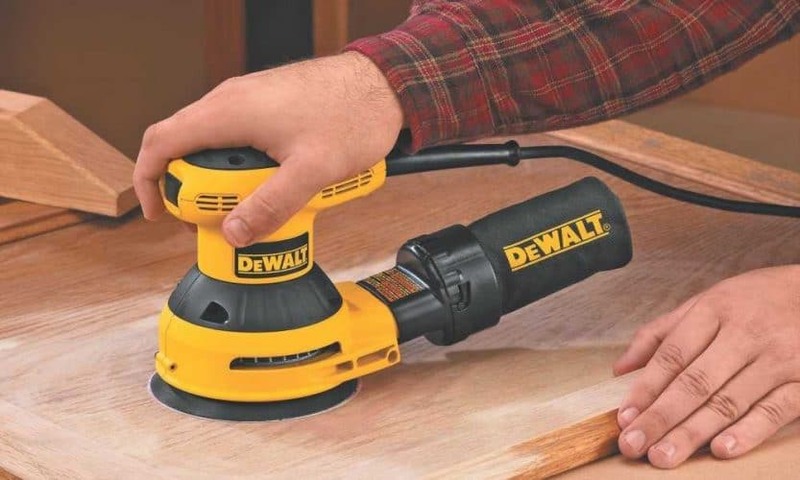 An orbital sander is a tool used for sanding wood and is commonly found in workshops and wood shops. They are easy to operate and it takes very little time to learn how an orbital sander works. They save you a lot of time when sanding wood, especially when compared with sanding by hand. Despite being very simple to use, you still need to know how an orbital sander works in order to use it correctly. Orbital sanders work by elliptically rotating a sanding disk. 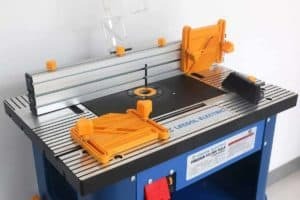 It doesn’t allow the sanding disk to travel over the same section more than one, which means that you are left with a smooth and even finish that has no circular swirl marks. No matter the wood grain’s direction, an orbital sander will smooth the surface without leaving marks. 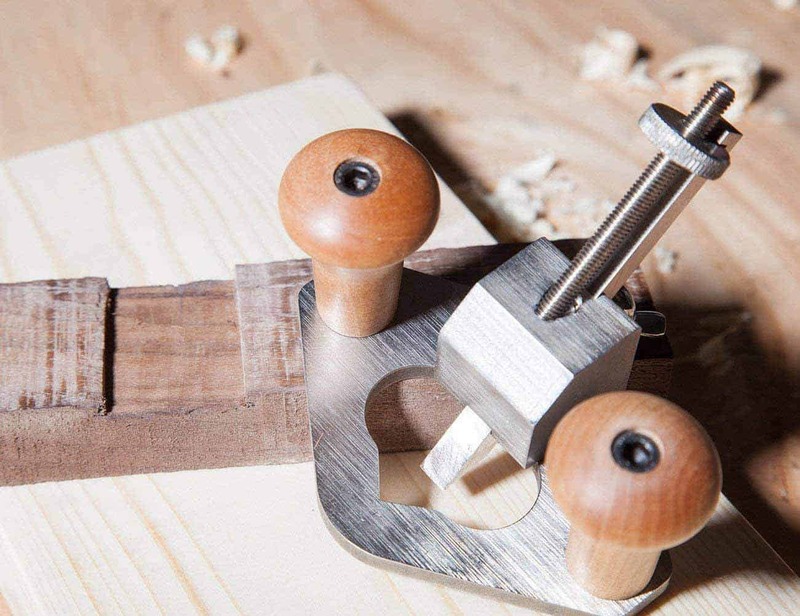 Because of this, you can easily sand two pieces of wood at the same time, even if their grains are in different directions. 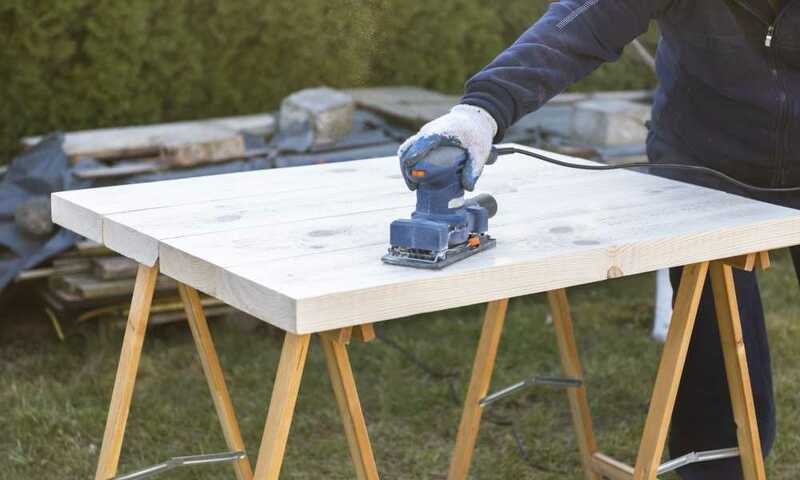 Orbital sanders are ideal for sanding the surface of the wood to create a smooth façade. 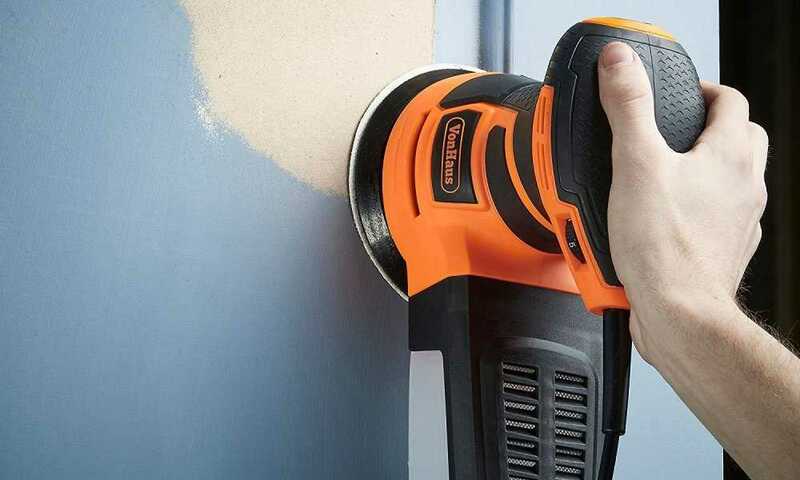 An orbital sander shouldn’t be used between paint layers or after the finish has been added. Most modern orbital sanders use a hook and loop system, which allows you to easily secure the sanding disk. However, you should always check that the disk is secured firmly in place. It is essential that you do not over-use the sanding disks. When the hoops at the back of the disk become clogged with dust and debris, the grip is less effective, resulting in uneven sanding. Dust extraction and ventilation is important when you are using an orbital sander. This makes the working environment safer as well as removes the dust and debris which can have a negative impact on the wood’s surface. Many orbital sanders come with a dust collection fitting which aids in removing dust while you are sanding. This will help to keep the surface clear from dust and debris, while making it more likely that you will have a clean finish. It also makes is easier to monitor your progress. Once you begin the sanding process, you must keep moving the sander constantly. 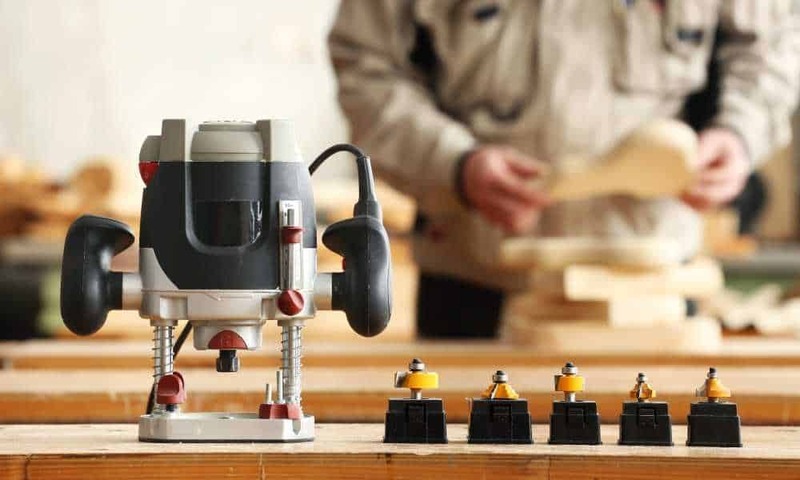 Even though most orbital sanders move according to their own set random action, by keeping them moving manually too, you will end up with a more even and smooth finish on the wood you are sanding. To get the best sanding results, you need to maintain a constant pressure level on the surface that you are sanding. If you push too hard, the orbital sander will slow down and be less effective. 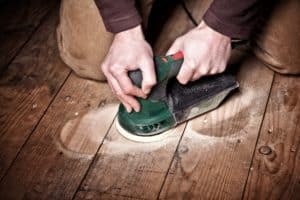 Plus, if you push too hard, you will probably not be able to keep that pressure level maintained throughout the sanding process and this may result in the wood being unevenly sanded. Always keep a light yet firm amount of pressure on your sander throughout the process. 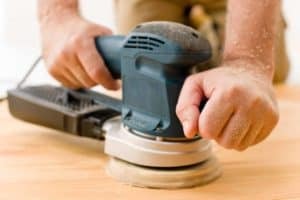 When you begin sanding, ensure than you allow the sander to spin up to speed before touching it to the surface of the wood. 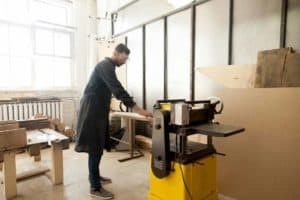 When you are finished, let the power sander finish spinning before removing it from the wood, and critically, before stopping the sanding movement. While you can use the edge of the sanding disk, it is advised that you keep the full disk area on the wood’s surface as you are sanding. 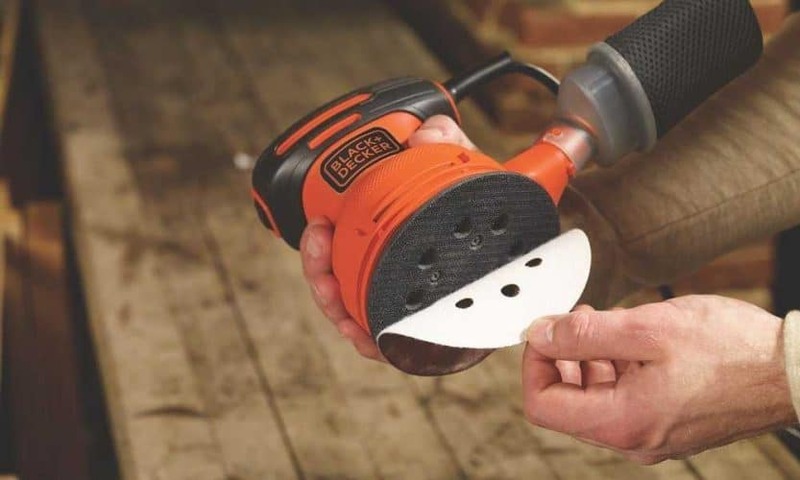 This ensures that you will have a smooth sanding action as well as allowing the sander’s power to be distributed equally over the whole sanding disk. Using an orbital sander is an easy process and will allow you to get an even result in a fraction of the time that doing it by hand would take. 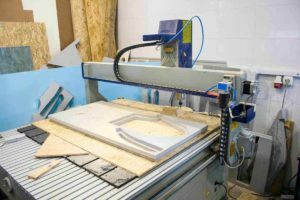 By knowing how an orbital sander works and how to use it correctly, you can take full advantage of its uses in a safe way. Plus, you can get professional quality results for a lot less money.